‘About us’ is about our passion for design and creativity. We began designing and building bits and pieces for our family. 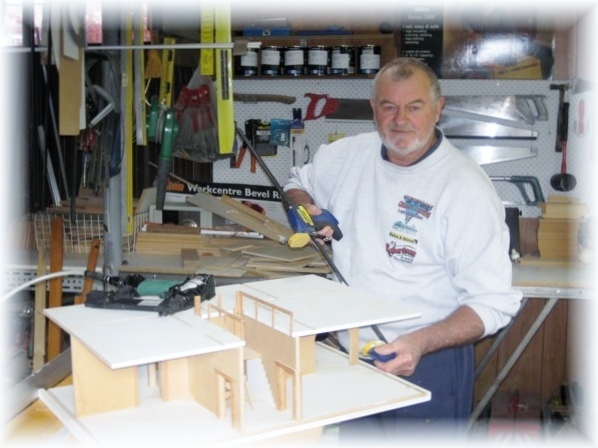 Warren designed his dolls house, castle, toy box, and bookcases, etc. I had stumbled across an article on decoupage and decided to study the technique. Even though our grandchildren have grown up our passion to create is still there. We expanded our workshop and continue to work from our home in Canberra. Apart from building all the products mentioned above, we also make children’s name plaques, wooden boxes and scrapbook/photo album covers. All our products are handmade and Australian made. Decoupage has been around for many, many years and originated in France in the early eighteen hundreds. Decoupage is the art of decorating surfaces to form a pleasing decorative composition. 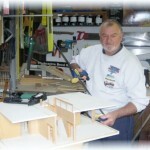 I create my own design and then coat with several layers of sealer or varnish. A piece can often take months to complete. The finished surface feels very smooth and silky after many layers of sealer, sanding and polishing. Decoupage is a skill I continue to practice, working towards perfection. All my pieces are created individually. There may be slight variations in colour or design from the item you have seen on our website. Please be assured that every effort will be made to produce your item as closely as possible. We are able to cater to most requests and are happy to discuss any special requirements. As all items are handmade you will need to contact us in regard to delivery dates.